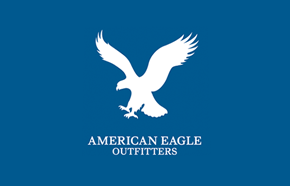 One of our other classic American-based clothing brands, American eagle offers comfortable and casual clothing for young people with a high-end flair. From men’s and women’s denim, underwear and outerwear, swimwear and sweaters, they have everything you need to live your life comfortably in styles that last. Whether you’re looking for their trademark polos or new accessories, American eagle has what you need to keep your everyday styles fresh. 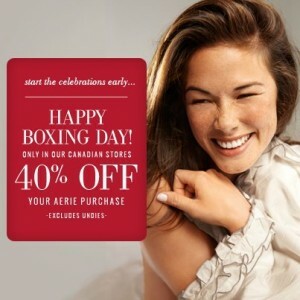 Only in Canada, American Eagle stores will be offering 40% off any purchase made up until December 28th. Only available in Canadian AE locations, enjoy 40% off of your entire purchase in-stores up until December 28th.